Featuring a rich wood finish and a unique steel cross brace, the Vanderbilt Living Room Set is a beautiful addition to the heart of your home. 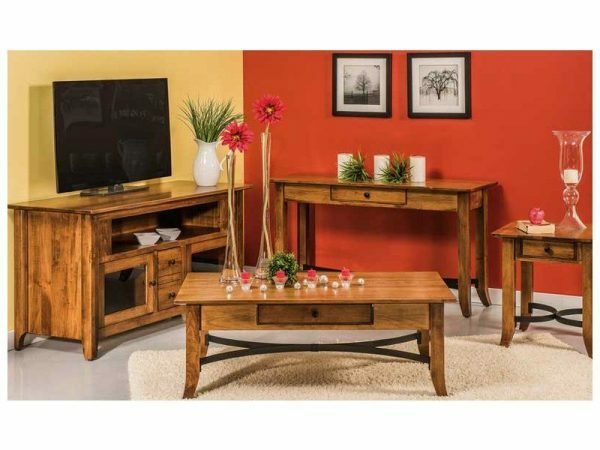 The collection includes a coffee table, sofa table, end table, and TV cabinet to complete your living room space. 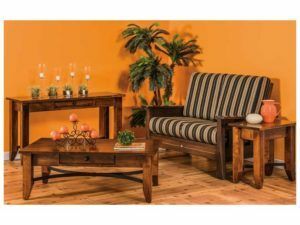 With slightly flared, square legs, each piece has a unique profile. The occasional tables offer drawers that open on soft-close slides. So, you can tuck away items you wish to conceal with a gentle nudge. 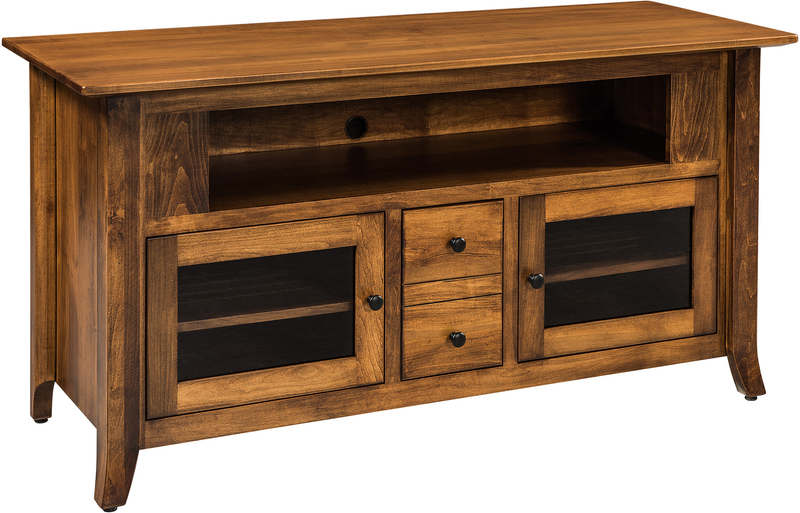 The TV cabinet completes the set and provides storage for all of your media devices and accessories.